A beach hut is a small, usually wooden and often brightly colored structure built above the high tide mark on popular bathing beaches generally used for storage, as a shelter and for changing into and out of bathing suits. Some beach huts incorporate simple facilities for preparing food and hot drinks. 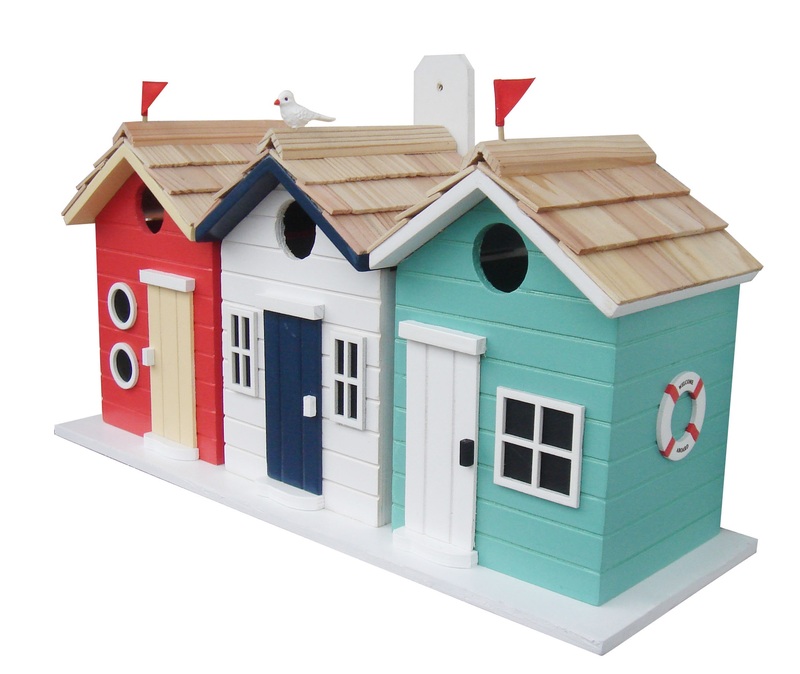 Our Brighton Beach Huts birdhouse features none of the above! It does, however, feature three side-by-side nest boxes in red, white and aqua adorned with life preservers on each end. Included are beah pennants and an orange beaked gull to decorate the roofs. 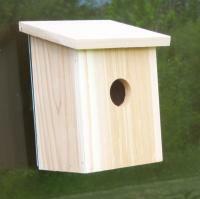 Avian residents will appreciate the unpainted interiors complete with drainage and ventilation. 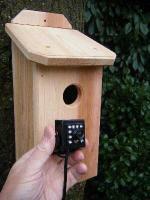 1 1/4 " openings will allow wrens, finches, chickadees and nuthatches to nest. 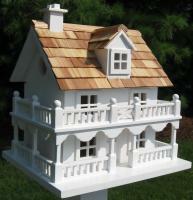 Constructed of exterior grade ply-board, polyresin details, pine shingles for the roof and an outdoor, water-based, non-toxic paint. 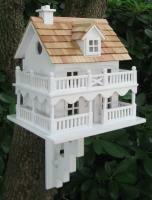 The convenient, swing-up paddle-board attached to the back allows you to hang this beautiful birdhouse anywhere. 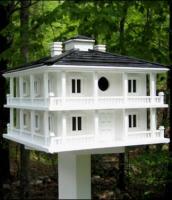 • Item Dimensions: 8.25" H x 17" W x 5.75" D.